Your loved one never leaves our care. We own and operate our own crematory so that we can provide careful, dignified handling of every cremation, which insures against misplacing or misidentifying your loved one's remains. This practice, in turn, enhances your "Peace Of Mind," knowing all cremations are completed by our licensed funeral directors and Cremation Association of North America certified cremation specialists. If you are thinking of choosing another cremation provider, make sure to ask if they own their own crematory, or utilize a third party for cremation. If they are using a third party crematory, ask them if they will be present during the cremation process or if they choose not to remain. Also, confirm that they do have a temperature controlled holding area to keep your loved one's remains while the death certificate and cremation permit are obtained, which at times can take several days. With Brian Arthur Strauch Funeral Homes and Cremation Services, LLC your loved one never leaves our care and is always placed in our temperature controlled holding area when embalming is not selected. This practice also allows out-of-town family the opportunity to say their last goodbyes and have some closure before the cremation take place. By having one of the newest and most technologically advanced crematories in Pennsylvania, families can have “Peace of Mind” knowing safety and proper identification procedures are being maintained while their loved one is in our care. You benefit from our strong commitment to cremation and extensive cremation experience. 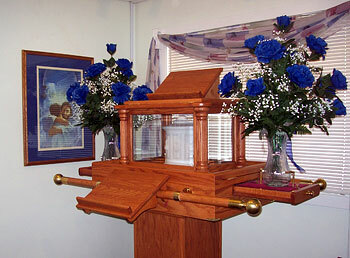 We can answer your cremation questions thoroughly and provide compassionate and customized cremation care.